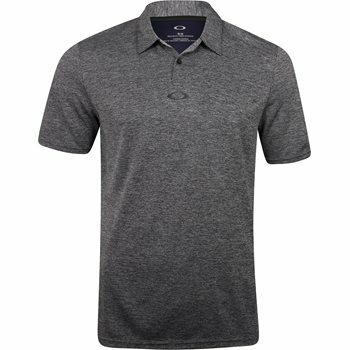 The Oakley Aero Ellipse polo features perforated Dri tech fabric that wicks moisture away from the skin to keep it cool and dry for all day comfort. The fabric also provides durability for machine washing with resistance against mildew and shrinking. The fabric is resistant to wrinkles as well, so you can get up, get dressed and go. The Aero Ellipse polo is designed with a regular fit, center placket ellipse branding, a self-fabric collar, and a 2-button placket for closure adjustability.